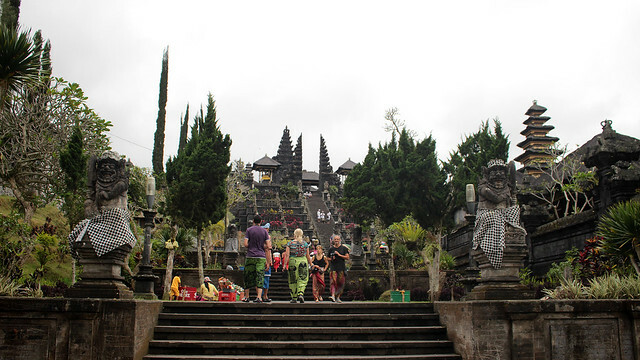 Balinese culture is steeped in spirituality, and therefore it is not a surprise that there are tens of thousand Hindu temples all over the island. 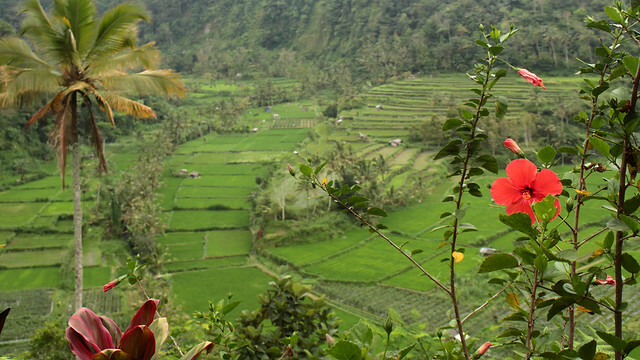 Bali is, afterall, “the Island of a Thousand Puras”. 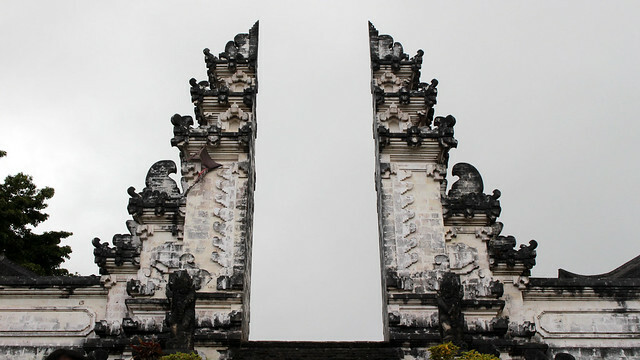 Some of the temples are small and territorial, located within private compounds (usually among the wealthier clans) or local community-based (each village has at least 3, known as kahyangan tiga), while the larger public temple complexes are revelled by Balinese near and afar, and they are also among the most visited by non-Balinese. 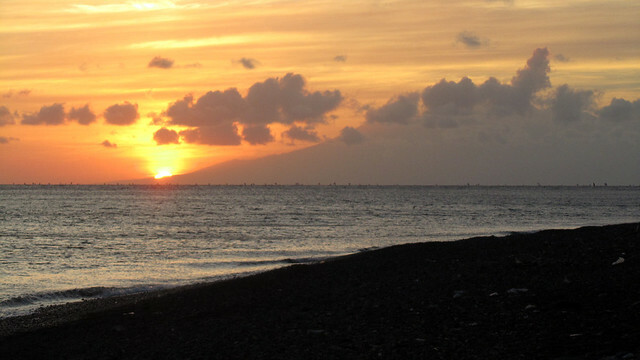 Our ultimate destination in East Bali was Amed, the name of a village but synonymously used to refer to a number of other villages within the same coastal stretch. 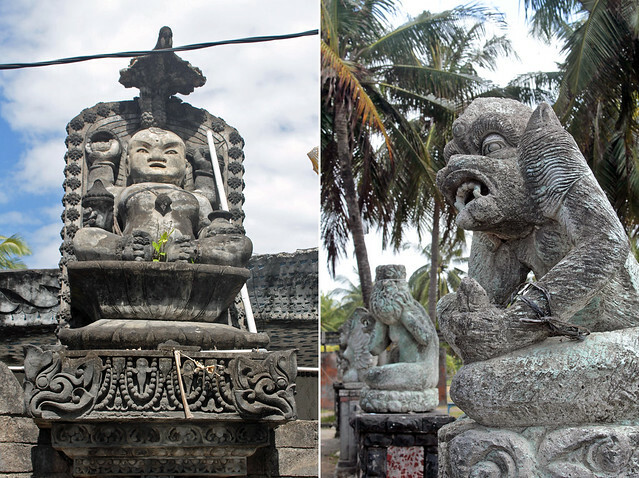 Normally a solid three hours drive away from Kuta, we broke the journey down a little by making a few short stops along the way. We made it to Masceti Beach and Candidasa in the morning, before tracking down Bali Asli for lunch and the subsequent visit to Tirta Gangga. 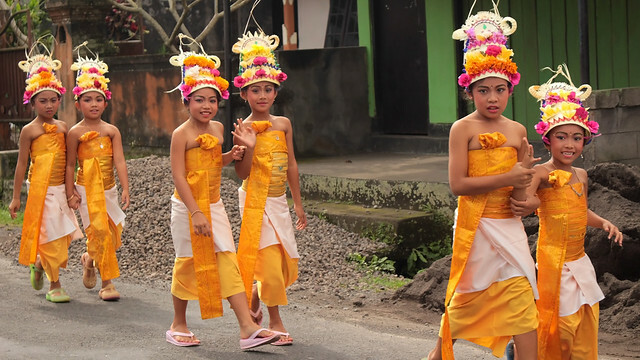 I wanted F’s first trip to Southeast Asia be a memorable one, so I put in considerable effort in planning our holiday. Not a rigid hour-by-hour schedule, mind, but enough to have a good idea what we could do each day and what were the alternatives should we fancy a change. 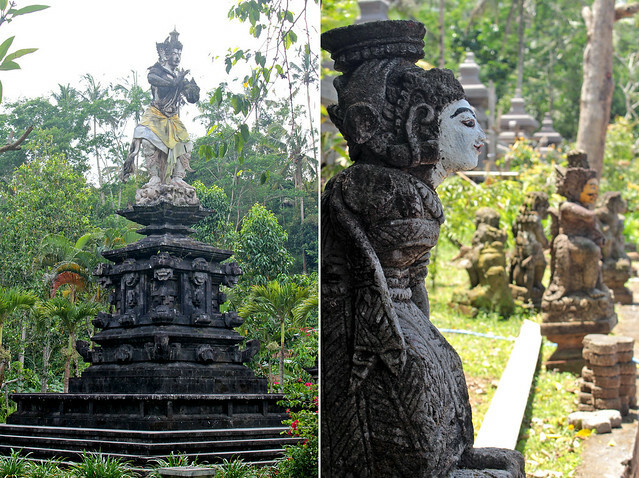 It was during this research phase that I came to know about Bali Asli. 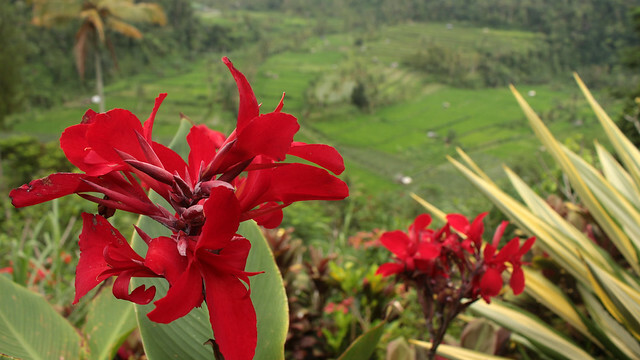 “Asli” refers to something genuine or authentic, and Bali Asli strives to promote the food tradition of East Bali by using own-grown or locally sourced fresh produce for its constantly changing menu. Not only the ingredients used are indigenous to the region, the cooking method is also preserved (wood-fired mud brick stoves!) 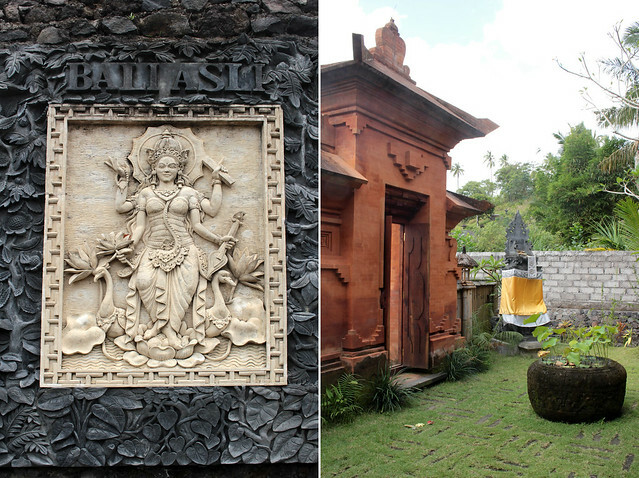 so to showcase the best East Bali has to offer. 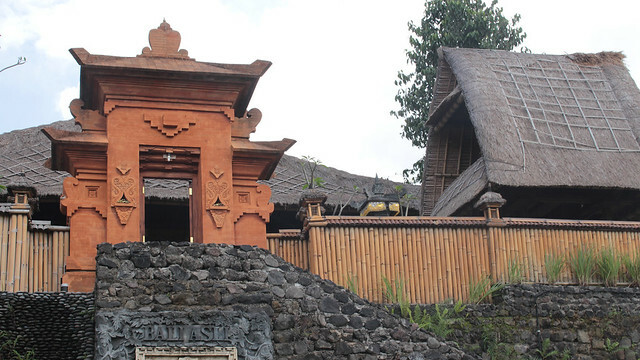 More significantly, Bali Asli serves a menu that is based on the concept of megibung, where food and drink are presented as communal platters to be shared, a tradition that harks back a few centuries ago where the King of Karangasem would sit down with his soldiers for their daily meals. 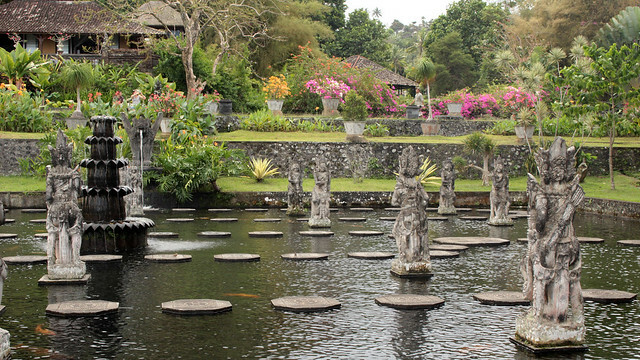 We kickstarted our (East) Balinese cultural education not with a visit to one of the many temples; instead we went for a walk at the Water Palace of Tirta Gangga. The “Blessed water from the Ganges” is a beautiful complex which incorporates fountains (the centrepiece is an eleven tiered fountain), pools (for swimming, with water from its natural spring), ponds (for lily and koi), stone carvings, statues and a small temple among its lush and meticulously-kept gardens. 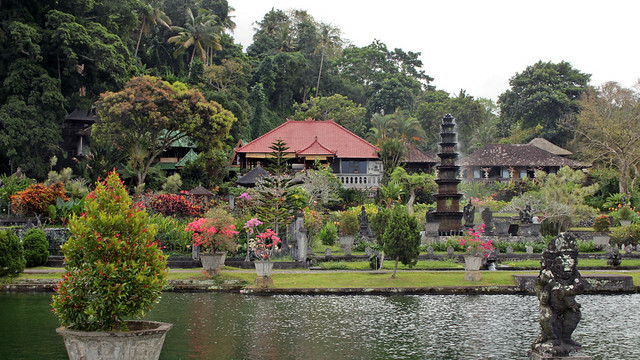 The water palace is not very old, built only in the late 1940s by the last King of Karangasem. 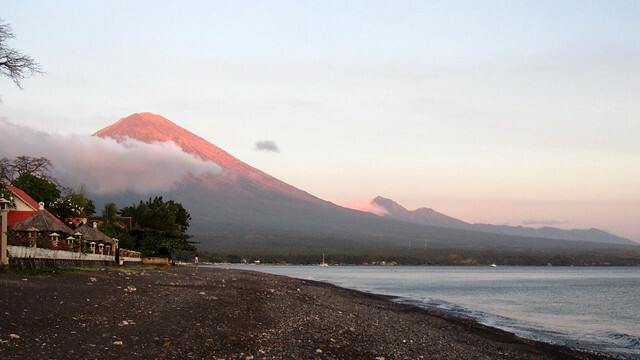 Following damages caused by the 1963 eruption of Mount Agung, it was rebuilt and restored to its present form, and has been well-maintained since. For visitors who would like to dine with a view, restaurants with balconies adjacent to the water palace offer a premium view and presumably with a premium price tag too. 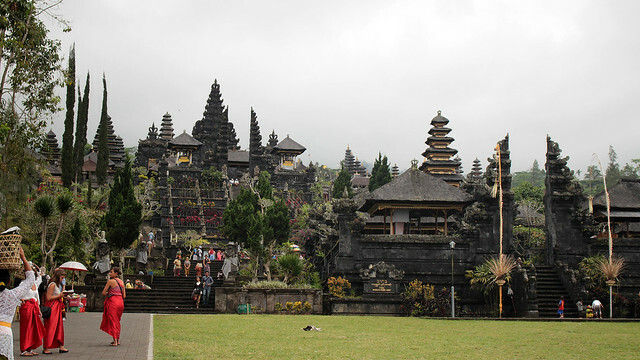 Honestly, I did not know what to expect of Bali. 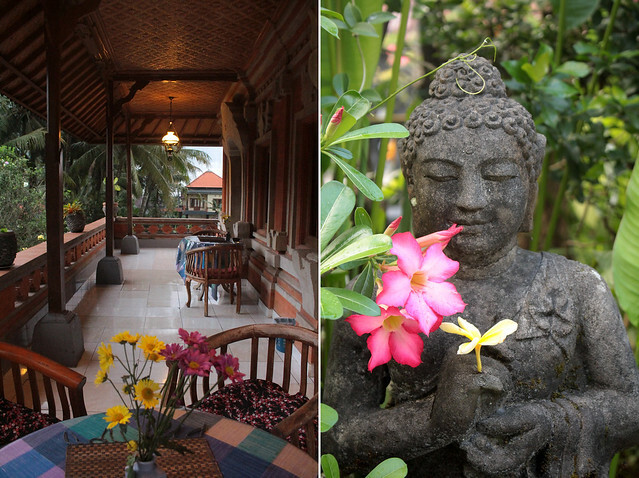 So many inviting pictures of rustic charm, clear blue sea and mythic temples from friends, family and around the web. 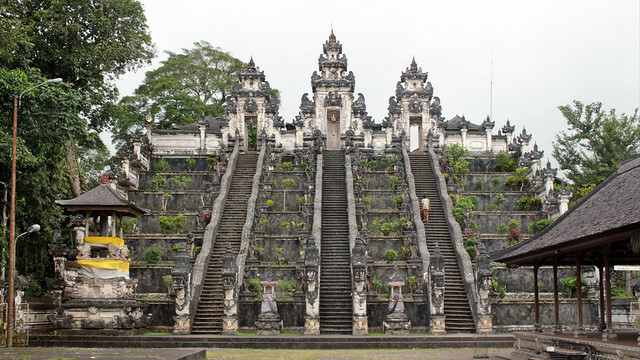 So many articles written of this top destination in Southeast Asia, although it appears the focus in the media of late has been largely unflattering (overcrowding, excessive drinking parties, uncontrolled development, pollution, the lost of Balinese soul, etc). So many advices and tips enough to make one’s head spins. I had to clear the board in order to start creating my own version of Bali. I tacked on solid advices – usually financial (use the ATM and avoid money changers, have sufficient cash in local currency to pay the exit/departure tax, keep small denomination notes to pay for all kind of little things, etc), identified what we wanted to get out of Bali (a relaxing break), listed out our favourite activities (snorkelling for F, cultural visits for me, eating local food for both of us), and most importantly, we knew what we didn’t want: stay in South Bali and run around 14 hours a day.